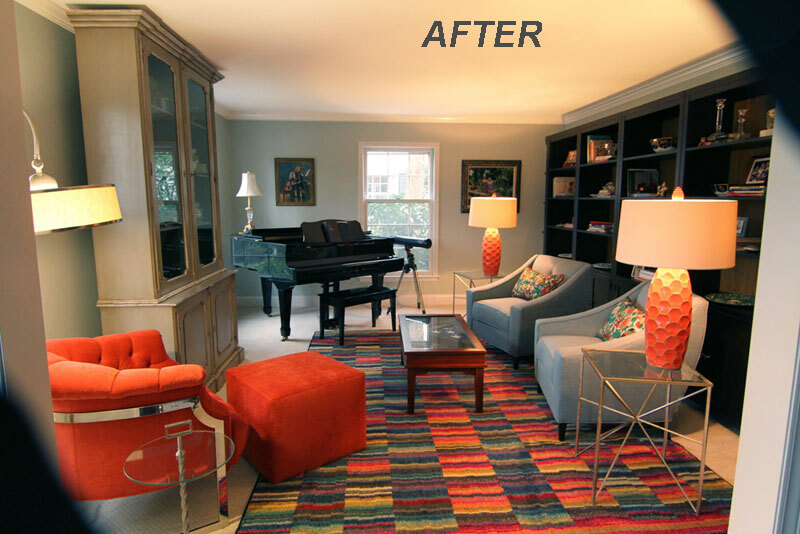 The change you’re looking for to give your rooms new life, could be right under your feet! 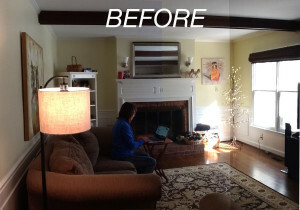 A new rug could be exactly what you need when you’re looking for a dramatic, quick, and inexpensive change. 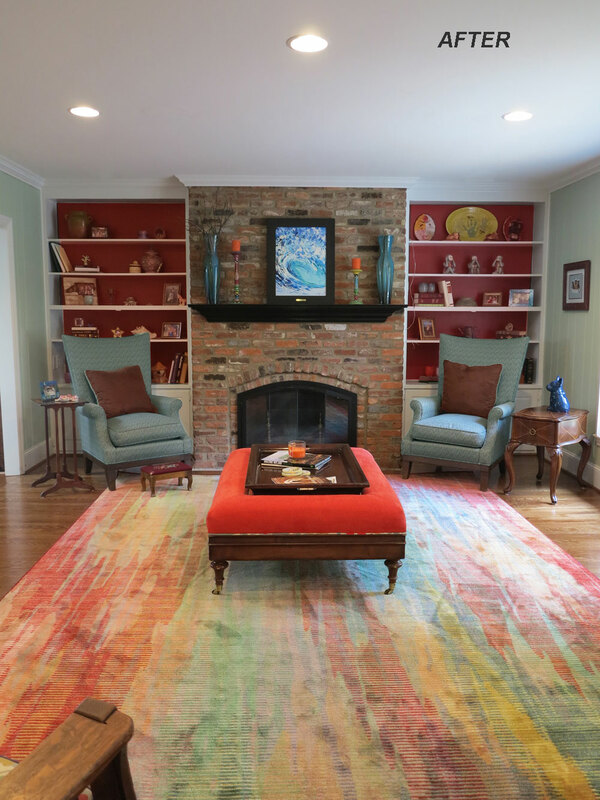 Rugs have the power to affect the entire area that they’re in, and that’s a powerful tool when it comes to redecorating. You might not think about it, but we look at our floors everyday. So you want to make sure that they’re something you enjoy looking at. Whereas ceilings are expected to have a light hue, we have tons of freedom with floors: they have the possibility to be anything. 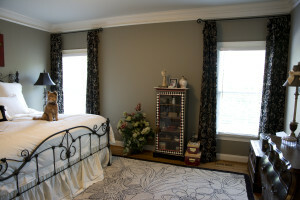 As you can see below, we changed the overall vibe of our client’s room without even changing the wall color. 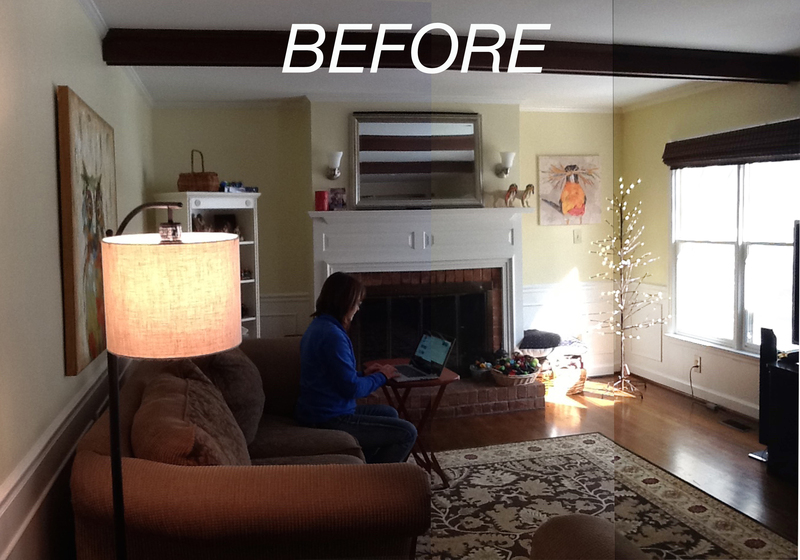 Painting might be your first thought when it comes to making changes. But it’s not the quickest way to change your room. Picking out colors, prepping the walls, and painting can take days. However, selecting a rug and installing it, can be very quick. When time is important, a change of rug is the way to go. 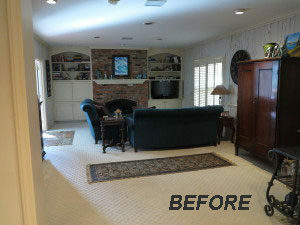 This before and after shows how a rug can bring big changes to your room. Purchasing a rug can be much less expensive than other changes. If you paint your walls with a color that just doesn’t seem right once it covers the room, there’s nothing to do but to repaint. 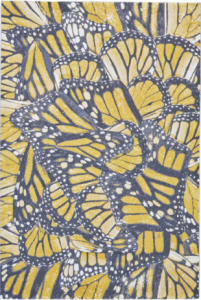 But if you lay down a rug that doesn’t quite match your tastes, you can return it or switch it for a different one. Purchasing a new rug isn’t your only option. Sometimes just moving a rug from one room to another can make a world of difference. Here at the MMID office, we’re constantly moving things around to make better use of our space and to change up the colors. It keeps things looking fresh without spending a ton of money. 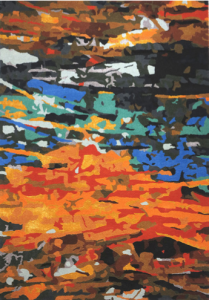 Rugs are Pieces of Art! 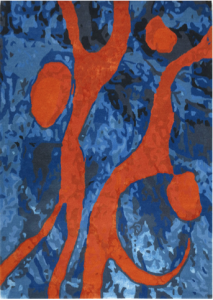 As much as we understand that neutral rugs can add a solid base to a space, we also love utilizing rugs as another opportunity for art. We often work with talented designers and vendors who specialize in creating beautiful pieces of art that you’re allowed (and encouraged to) walk all over. 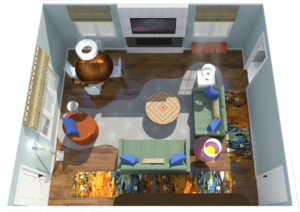 Here at MMID we’re always excited for an opportunity to use MORE COLOR! 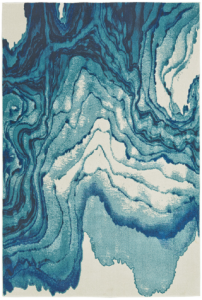 There is so much flexibility when it comes to tailoring a rug to your space for optimal impact. Options that you might think are too expensive are actually quite often in reach for many of the clients we work with. Below are some custom options you may not have considered. 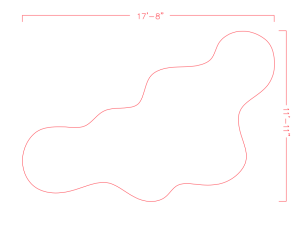 Custom Cuts: You can cut a rug into any shape you want. 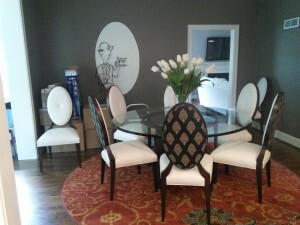 For example, we took a large rectangular rug and cut it into a round rug to fit a circular dining table. We then used the scraps to create doormats and kitchen runners. 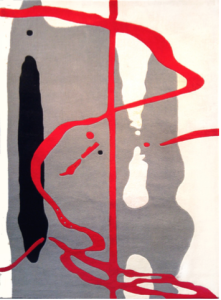 Irregular Custom Shapes: Below is an in-progress example of a large bonus room rug cut into an organic shape. 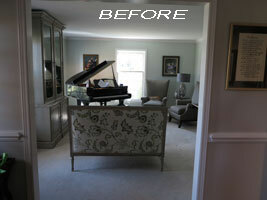 Selecting a broadloom carpet allowed us to think big with our design and create a large rug that fills the room. Custom Colors and Serging: Many manufacturers these days have custom options that allow you to customize almost any feature. So you can have a rug that perfectly matches that antique piece you really want to use or one in exactly the right shade of violet. Not to mention it’s much more cost effective to cut and serge a large rug into two smaller pieces as we did with these two custom-size foyer rugs for this Hilton Head Island home. 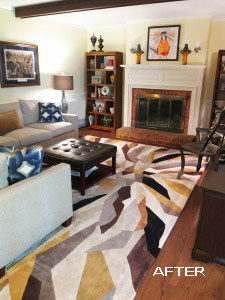 Custom Treatments: There are so many custom treatments when it comes to rugs. 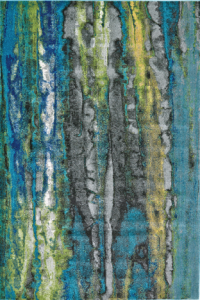 From stain prevention to colorfastness to wear resistance, you can find a rug that will stand up to the wear and tear of your everyday life and looks great in your home. 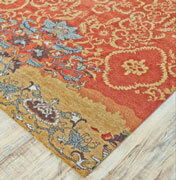 And for the wool rug you absolutely can’t live without, but worry about mixing with your kids or pets? Don’t worry! They make them reversible!